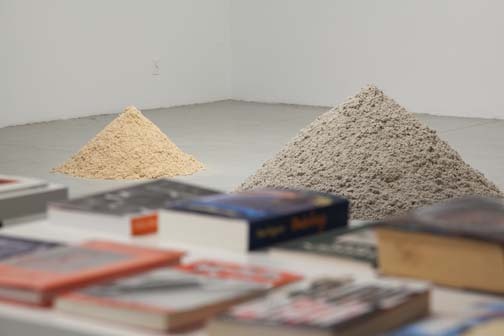 EFA Project Space announces The Book Lovers, a multi-disciplinary exhibition, series of events, and library, all rising out of the phenomenon of artist novels. The Book Lover's curators embarked on this project in order to create public awareness about the growing trend of artists turning to the fiction novel as their medium. 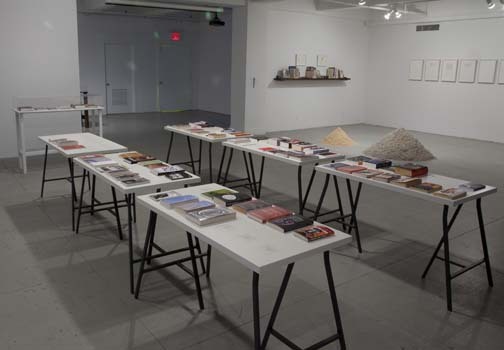 Through an onsite collection of 140 novels written by artists and an installation of artworks in varied media that each link to select novels by their same artists, the curators of The Book Lovers invite us to think about literature as a tool for creating expanded narratives in the visual arts. They ask, what are new implications for the production process when adopting a purely textual form, moreover a narrative? When thinking about collective writing, fictional artists and authors, and ghostwriters, what issues are raised concerning authorship and the re-skilling of artistic practice? The Book Lovers focuses not only on the artists' process of writing, but also on the act of reading as a required action. Visual artists who turn to the format of the novel seek protracted engagement with their audience. An artwork that takes the form of a novel is only complete once it has been read. Such work demands an investment of the viewer's time beyond what is typically expected of art, favoring reflection over fast consumption. The curators propose that these are public works that in book form, may be experienced in daily contexts, on the train, in bed, and so on -- becoming part of a 'lived' reality.